Why take this short course? DACPD92 – This Level 5 Unit begins with a consideration of what is meant by study skills. 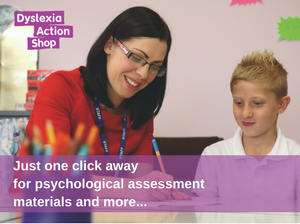 It goes on to explore the barriers to learning that can impede the development of study skills in learners with dyslexia and the teaching methods that can improve their access to learning. Pay online by debit/credit card at the time of registration £295+VAT. Please click on the date below to make a booking. May cohort – Book by 24 April (if pay later/invoice required upfront) or book by 1 May if paying by credit/debit card. July cohort – Book by 26 June (if pay later/invoice required upfront ) or book by 3 July if paying by credit/debit card. I have just read through my marked assignment questions with your comments. I simply wanted to say a big thank you for your encouraging words and for all you do on behalf of Dyslexia Action. I have learnt so much throughout this unit and am grateful to you for all your time and help. Our Level 4 and 5 CPD programme is approved by The CPD Standards Office.